AMES, Iowa — Robin McNeely, GIS analyst and manager of the Iowa State University Geographic Information Systems Support and Research Facility, is the recipient of a 2017 P&S CYtation Award presented by the university’s Professional and Scientific Council. The award recognizes P&S employees who perform above and beyond the call of duty, do something extraordinarily well and act to make a very real difference in the institution. McNeely will be honored at the P&S Council CYtation Awards Ceremony at 8 a.m. Thursday, March 23, in the ISU Alumni Association’s Reiman Ballroom. 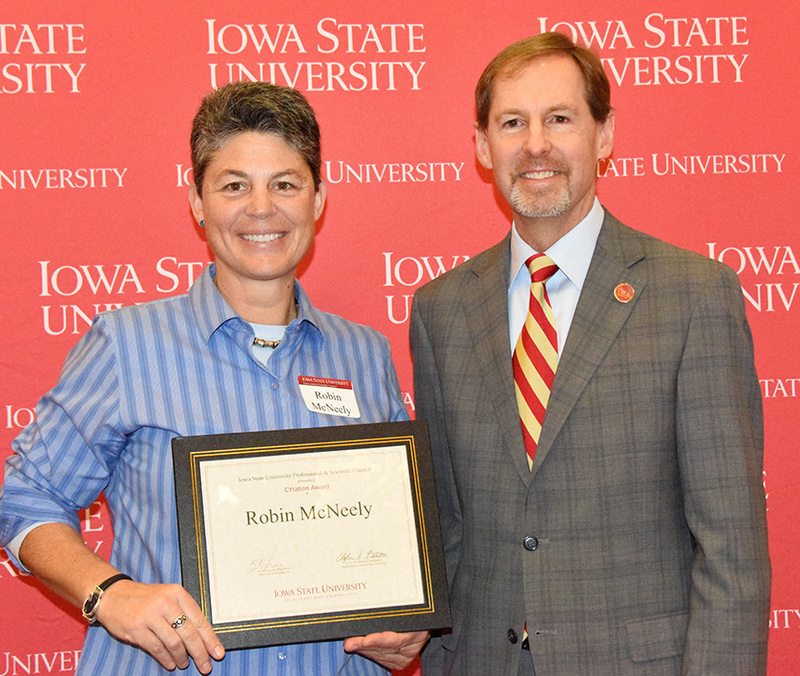 In her 18 years at Iowa State, McNeely has assisted on hundreds of GIS projects with departments across all colleges on campus. Beginning in 2013, McNeely guided the ISU GIS Facility’s transition from a unit of Iowa State’s information technology services department to its current home in the Institute for Design Research and Outreach, administered by the College of Design. She continues to manage the facility as an interdisciplinary research center that serves the geospatial research needs of the university and the state of Iowa. McNeely has served multiple terms on the P&S Council, including as chair of numerous committees. She regularly volunteers her time to support College of Design events and programs to enhance the experience of women in science and engineering. 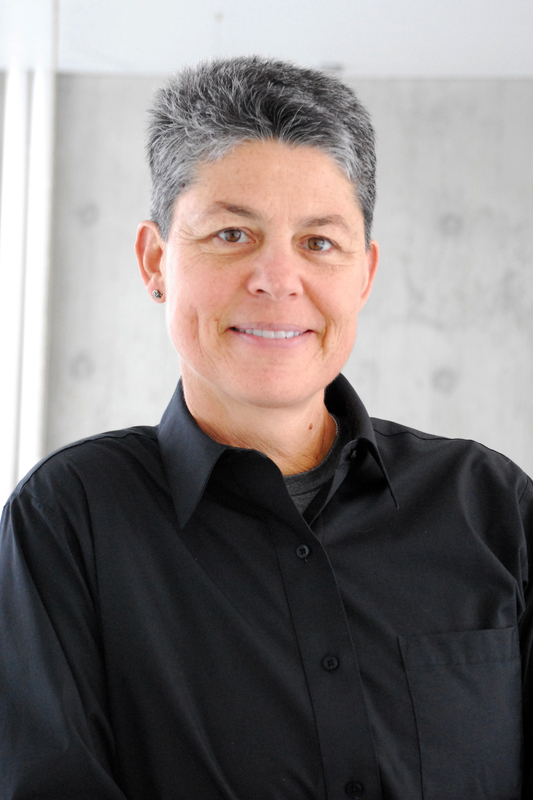 She received a Bachelor of Science in forestry from Virginia Tech in 1988; and a Bachelor of Landscape Architecture in 1993 and Master of Landscape Architecture in 1995, both from Iowa State. She joined the ISU GIS Facility in 1997 and is a Certified Geographic Information Systems Professional.